Maine is one of the states hardest hit by the nation's ongoing opioid crisis, but people across the state are working on the front lines of this epidemic, saving lives, raising awareness, and developing new solutions. 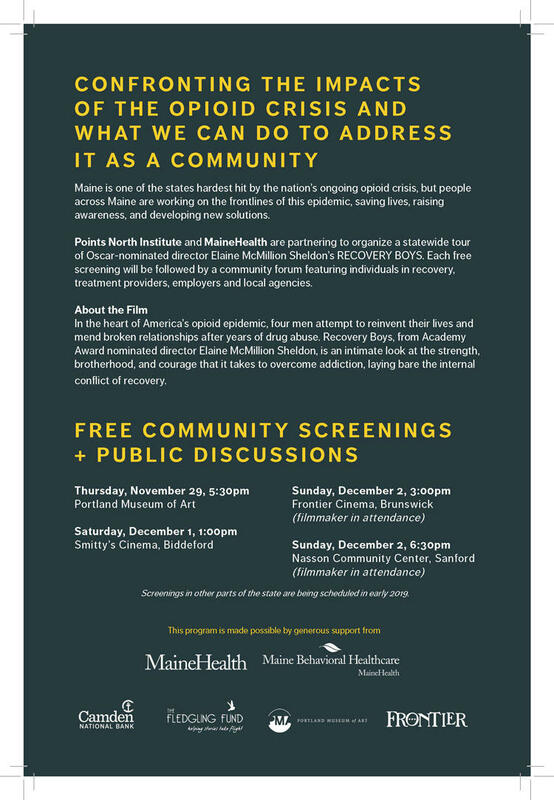 Recovery in Maine is a statewide series of documentary film screenings that spark public discussions about addiction, recovery, and our collective response to the epidemic of substance use disorder. After each screening, we invite community members to lead a conversation about their experiences, local resources and the ways in which we can all be part of solutions. The program is part of the Points North Institute's ongoing Points North Impact initiative, which kicked off in 2013 with the Aging in Maine series. Click HERE for more information on the Points North Institute and this initiative. In the heart of America's opioid epidemic, four men attempt to reinvent their lives and mend broken relationships after years of drug abuse. 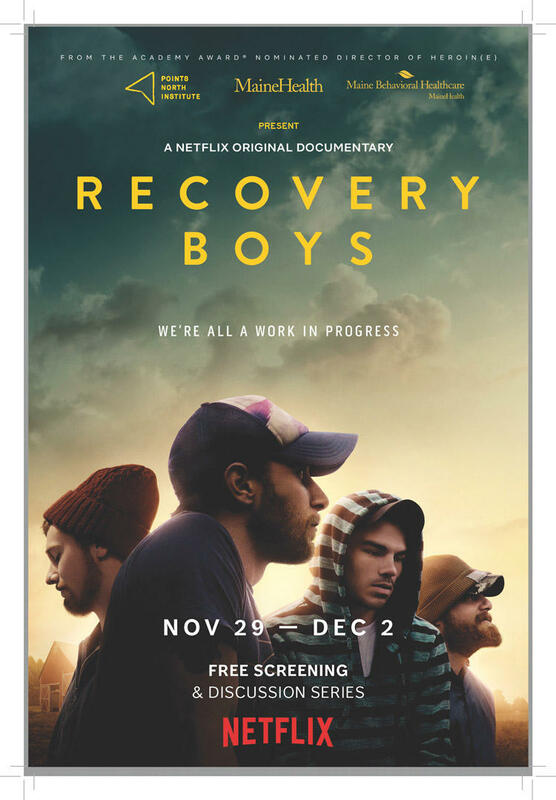 RECOVERY BOYS, from Academy Award nominated director Elaine McMillion Sheldon, is an intimate look at the strength, brotherhood, and courage that it takes to overcome addiction, laying bare the internal conflict of recovery. Click HERE to view the official Recovery Boys trailer. * filmmaker Elaine McMillion Sheldon in attendance!